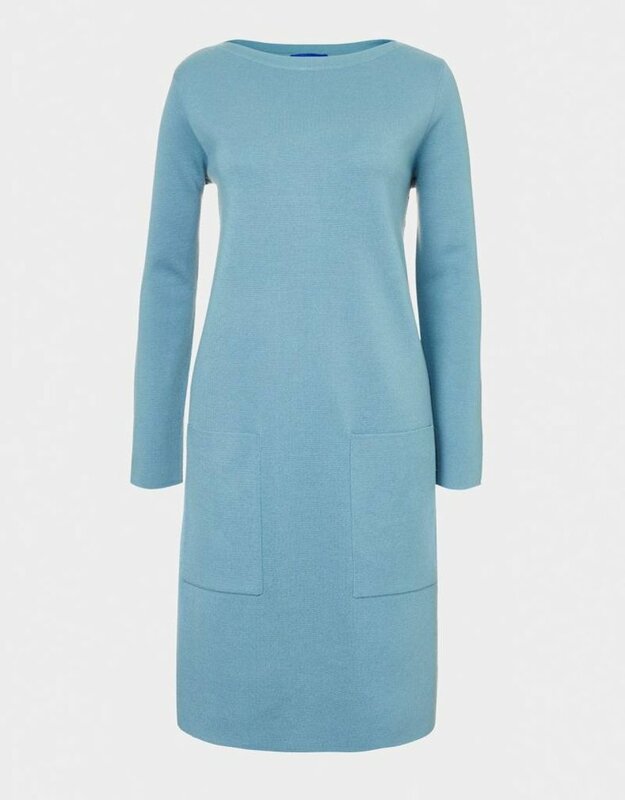 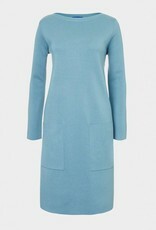 This is a luxe modern classic 100% extra fine merino wool dress in our signature Milano stitch which keeps its’ shape all day. 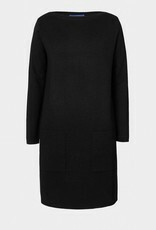 With a wide boat neck and two patch pockets, it is cut in a relaxed shift shape. 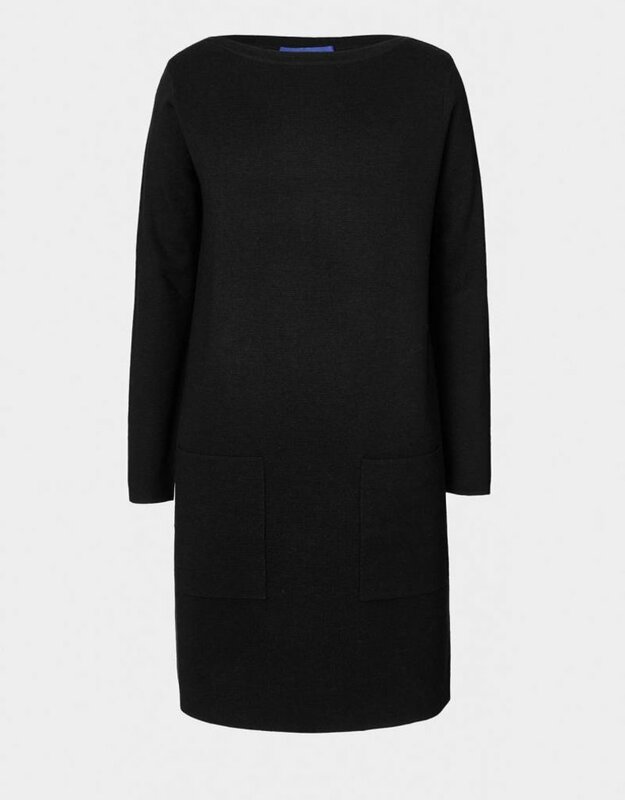 Pair with the Merino Wool Three Button Coat for a smart office or occasion outfit.